Heather Ploen and her husband Jason are currently in the process of adopting an infant girl from Russia through Children's Hope. With their dossier in Russia since March, Heather writes of ways to keep the hope of parenting alive while you wait. There are so many uncertainties and unknowns in international adoption. As one month rolls into the next with little news to share with family and friends, it's common to get discouraged. When things don't go as planned, and referrals take longer than you expected, how do you keep HOPE alive? I'm no expert, but I am learning. Start with the simple things. Remember the creator and giver of hope, Jesus Christ. Pray for hope together with others going through the same thing. Read scripture verses that are hopeful. Make flashcards of your favorites and place them around your house, on the fridge or the bathroom mirror. Listen to music that makes you happy and uplifts your spirits. Take a praise walk and thank God that you are one day closer than you were yesterday to bringing your child into your forever family. Get creative - write a blog, crochet an afghan for your child, paint a picture, or carve a pumpkin with the word HOPE on it, whatever you can think of. 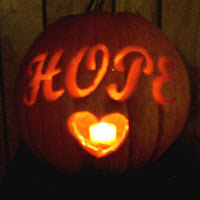 I even wear a perfume called HOPE so I am surrounded in HOPE all day long! I've found the best way to keep hope alive is to give it to others who need it. That's one of the reasons we chose Children's Hope International for our adoption. The name says it all - it's about bringing hope to orphaned children. In giving hope, I also receive it with the knowledge that someday we will welcome a child into our life and home forever. National Adoption Month Begins Thursday! November is National Adoption Month. It is a month set aside for awareness of the children waiting to be adopted internationally and in the US; recognition of the need for adoptive parents; and the celebration of families. Throughout the month, Children's Hope wants to help you celebrate. Check the blog every day in November for ideas to make the most of National Adoption Month in your home and in your community. 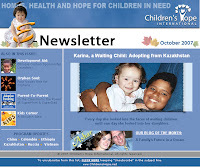 It all starts this Thursday on the Children's Hope Adoption News Blog. Two actors are bike nuts. While Children’s Hope is not so talented in acting and not so into motorcycles, we have at least one thing in common with the duo: these actors might be becoming a little nutty for orphans and spreading awareness, too. One day, Ewan McGregor (Stars Wars: Episode I, Big Fish) looked at a map and noticed it was possible to ride entirely around the world with only one short jaunt across the Bering Strait. He called on Charley Boorman, his best friend and fellow actor, and began rigorously training and preparing for an adventure of a lifetime, all of which would be documented on film in a 10-episode series, A Long Way Round. From London to New York, Ewan and Charley rode their BMW motorcycles through Europe, the Ukraine, Kazakhstan, Mongolia and Russia, across the Pacific to Alaska, then down through Canada and America. In addition to the amazing drama of exhaustion, injury, and treacherous roads, viewers catch the warmth of many cultures and the unifying aspects of the human race. The pair of actors also uses the opportunity to partner with UNICEF, spreading awareness of projects that benefit both orphans and the community’s poor along their tour route. Children’s Hope adopting families have the chance to see Kazakhstan from a unique viewpoint as the two travel across the Kazakhstan landscape, meet with the people of the country, and eat the local food and experience their traditions. As of last night, a second adventure began on the BBC cable network in Long Way Down. Inspired by their first journey, Ewan and Charley travel from Scotland to the most southernly tip of Africa. 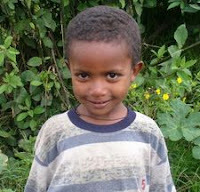 Along the way, they drive through Addis Ababa, Ethiopia, home of Children’s Hope transition home House of Hope. Long Way Down is currently airing on the BBC and is coming soon to FOX Reality and the Discovery Channel. Visit the Long Way Down website for extensive photos and journaling, a map of their destinations and details on each of the UNICEF spotlight stops. Long Way Round originally aired on the BBC in 2004. It is now available on Netflix and Blockbuster Online rental. In a daily ritual, Brenda Brewer began viewing the older children and those with special medical needs available for adoption on the CHI Family Waiting Children website for Kazakhstan. One day she found her daughter...13-month-old Karina. That same day, although she did not yet know, Karina had found her forever home. You can read more about how Brenda followed her heart to complete her family in Children's Hope October e-news. Our Blogger of the Month, Misty Hodgs, also shares how she is following her heart and literally her dreams. With Halloween just around the corner, you'll want to make sure you check out the Kid's Corner, too, to discover how you can bring Ghoulish Hands and Boo Burgers onto your family's holiday table or into your Boo and Creek Party! It's almost like something out of a science fiction movie. In 2003 Brad Ellis noticed a strange plant growing in an area where he had discarded some rotten pumpkins. Instead of the familiar orange pumpkin, this plant had a creamy white globe. 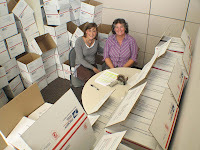 With nearly 80 churches now signed up for an Orphan Tree of Hope, Michelle Howdeshell, Children's Hope Church Outreach Coordinator and her volunteer Debbie Hamilton, are surrounded by boxes in which they are shipping ornaments to the partcipating churches and families. Each tree will have 40 ornaments - 20 orphans who need a sponsor and 20 Children's Hope Development Aid projects that need additional funding. How Has God Provided Financially in Your Adoption? Last year FamilyLife Today, Steven Curtis Chapman and Focus on the Family launched an inaugural effort to raise awareness for God's heart for orphans through the Voice of the Orphan campaign. This year's campaign, Cry of the Orphan, will run November 12-16, and is partnered with Crown Financial Ministries and their nationally syndicated program Money Matters. Children's Hope families have the opportunity to share how God has provided financially for their adoption and perhaps be on the air with Money Matters radio program in November. The idea is to share how the Lord has worked in overcoming financial needs during the adoption process. It could be that Hope for Orphans, Life International, Shaohannah's Hope, ABBA Fund or someone else supported your family financially, and how God worked in your adoption decision. Money Matters has a toll-free number you may call at any time to record your story. There is no guarantee that all testimonies will be used on the air, but those not used in November may be aired when the topic comes up again in the future. The message will say, "If you have a short testimony of the way God has used Crown Financial Ministries and Money Matters in your life, please press 3." If your testimony is not directly attributed to Crown, you may still participate. How did trusting God bring you through financial hurdles in your adoption process? "Many of our families have received grants through Shaohannah's Hope, which gives approximately $3,000 towards an international adoption for each approved family," says Southeast Branch Director Brenda Barker. 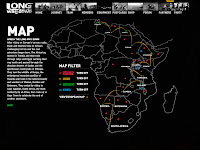 "This is a great resource. Shaohannah's Hope is a wonderful supporter of international adoption." Don’t forget to watch America's Funniest Home Videos on ABC this coming Sunday, October 14 at 6 PM (CST). Children's Hope family, John and Beth Anth's, home video was selected as a finalist for the series. Their home video clip will air early in the show and, because they were selected as finalists, you will see their entire family at the end of the show for the final selection. How much of the $15,000 prize money will the family win? Watch to find out! The family's home video clip features Katie (adopted from China in February 2006) pushing her baby doll in a little stroller. When she lets go of the stroller, the wind carries it off down the sidewalk. See the original post with more details and the linked video, here. Thirty-five families attended last night's reception in honor of Children's Hope visiting Vietnam delegation in St. Louis. Each family came with a great spirit to meet and visit with several instrumental officials who made their Vietnam adoptions possible. The special guests included: Le Thanh Tam, the Director of DOLISA (Vietnam's department over social affairs); Justice Official Trinh Thi Bich, who presides over the Giving and Receiving ceremonies in Vietnam; Ho Thi Kim Thoa, Assistant Director of Tam Binh #1 & #2 orphanages; and Children's Hope Director in Vietam Thuy Nguyen with both her mother Nu and sister Love. "Thank you for giving these children a better and happier life, with your love and your care," Le Thanh Tam greeted the families. The reception was especially meaningful for the assistant director of Tam Binh #1 & #2 as she was able to see many children who were adopted from her orphanage. Two joyful reunions were also had for families whose children were once raised in the foster care of the Nguyens. The delegation is now traveling to New York City for the second leg of their visit where Children's Hope will also host a reception at our New York office.